Entropy is immensely proud of the work we have been doing with Oxford University Press as part of the "Oxford Global Languages" programme to realise the launch and development of the living dictionary to a number of under-represented languages around the world. Throughout the development of the programme, the Remarkable CMS has played a crucial role in powering the workflow and content management of new Oxford Dictionaries sites in languages like Northern Sotho, isiZulu, Malay, and Urdu. This week, we are very excited to add both Setswana and Indonesia to that list - and are honoured to be working with Oxford University Press on this important global initative. 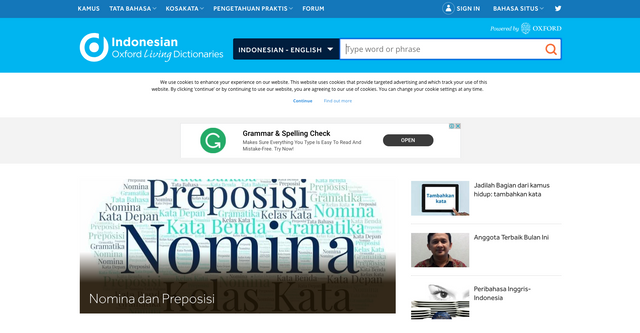 Please stop by the new Setswana and Indonesian sites to check them out! And for more information on the Oxford Global Languages Initaitive, click here. Stay tuned for more sites and more languages - coming soon!